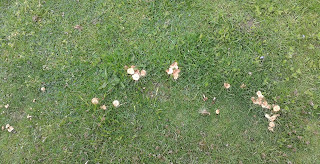 Just like Philip's St Georges Mushroom, these have come up in the same place for several years now. 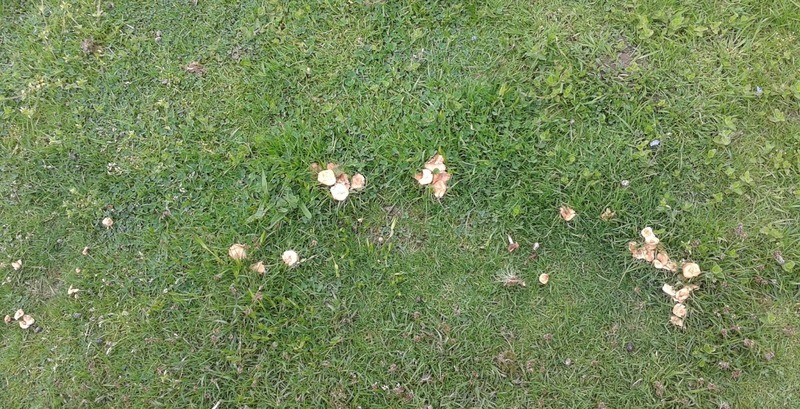 However, unlike the St Georges Mushroom, these have come up probably a month BEFORE I would expect to see them. Not sure what this demonstrates??? The fungi are confused as well as confusing. Early for Champigons ---- but might herald an interesting year.